Nick Sarando is a Tucson Arizona Native and belongs to the Pasqua Yaqui Tribe. 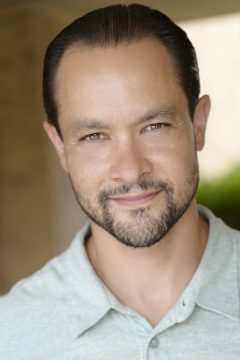 He received a BFA in Musical Theatre from University of Arizona and has been a contract performer on Holland America Cruiselines and performed in Equity theatre in Palo Alto, CA including a pre broadway run of “Summer of 42” the musical. He moved to Los Angeles in late 2001 and got involved in TV production. He has been a set dresser, carpenter, and Script Supervisor on union films in Louisiana where he lived in New orleans and Shreveport. He has done many audio books for Audible Amazon and iTunes as well as many commercials and industrials as a Voiceover artists.Works as a Standin on sitcoms sometimes as well. He is currently looking for Theatrical and VO representation.